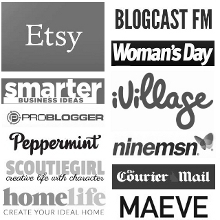 With only weeks to go until Christmas and the New Year it is important that you set yourself some time for a break from your handmade business. I know the idea of shutting down strikes fear into the heart of many handmade business owners… but honestly? Taking a real break from your business can often be THE BEST thing you can possibly do. Both for you, and for the future of your business. Whether you take a day to yourself, or have a big holiday planned, there are some things to think about in advance to ensure that you are prepared and have the confidence in taking a break that you can really enjoy. 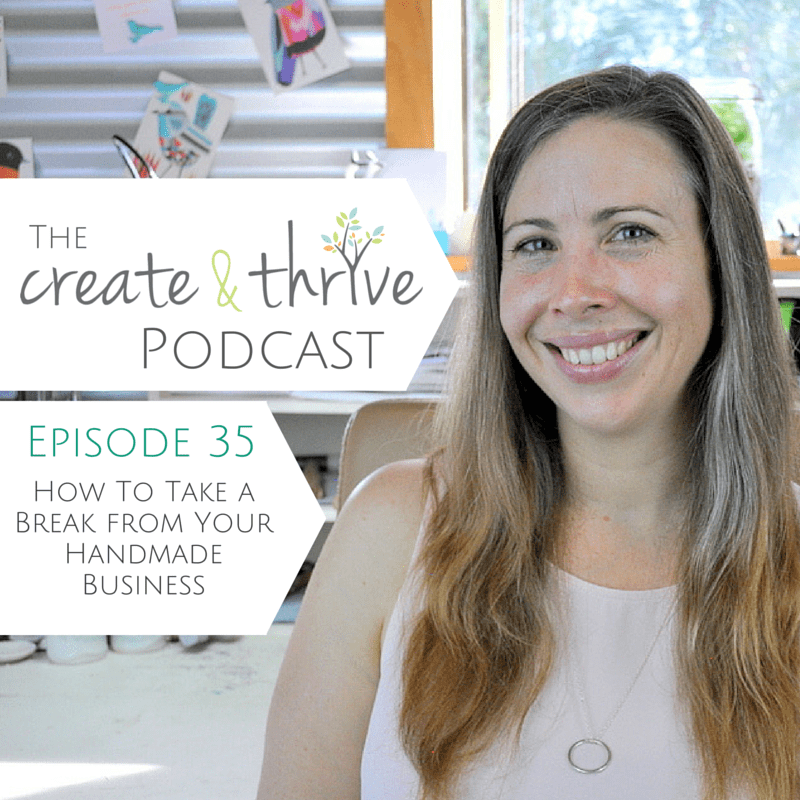 In this episode I share some practical tips that will take the stress out of your holiday, and give you a step-by-step plan that tells you how to get everything you need to do done. I’d love to hear about your holiday-taking experiences in the comments below, too! 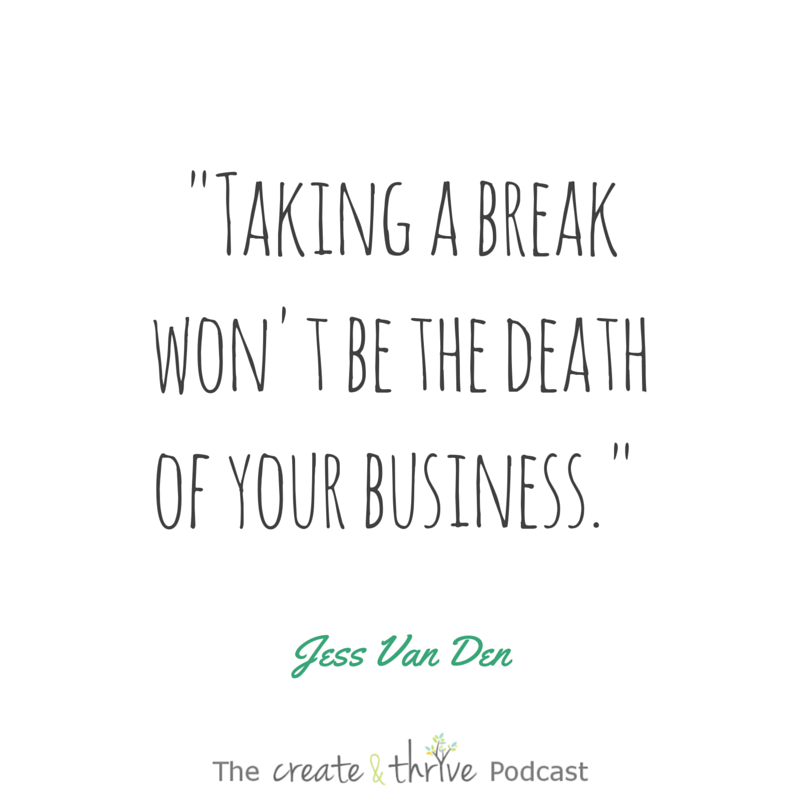 When’s the last time you took a proper break from your business? How did it go? And do you have any tips for your fellow makers on this process? Take the fear out of taking a break from your business. Saving enough money and making sure you have more than you need. Work harder before your break so you can enjoy it. Write an action plan ahead of time. Announce clearly and announce early. Set up email responders and vacation notices. Keeping visible during your break. Have a set date to re-open. Taking a break is powerful for the future of your business.